Marcia Sakai was appointed interim chancellor starting August 2017. She joined the UH Hilo faculty in 1991 in the field of economics becoming tenured and promoted to the top professor ranks over the years. She was the founding dean of UH Hilo’s College of Business and Economics in 2005, and then was appointed vice chancellor for administrative affairs in 2011. As vice chancellor, she made great progress toward improving campus-wide efficiency in several areas, notably technology infrastructure and sustainability measures with special focus on energy conservation. For more information, visit the Office of the Interim Chancellor website. Kenneth Hon, professor of geology and volcanology, was appointed interim vice chancellor for academic affairs starting July 2017. He specializes in volcanology, petrology and mineralogy and has studied volcanoes in Hawai‘i, the continental United States, and Russia. 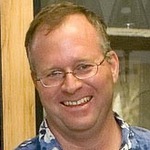 He also teaches courses in physical geology, geology of the Hawaiian islands, mineralogy, and petrology. His knowledge of the university and experience on the Research Council give him a campus-wide perspective well suited to this interim position. For more information, visit the Office of the Interim Vice Chancellor for Academic Affairs (VCAA) website. Kalei Rapoza was appointed acting vice chancellor for administrative affairs in August 2017. He has been serving as director for the Office of Human Resources since 2016 where he has worked collaboratively with leadership across the UH Hilo campus in a range of human resources matters. He joined UH Hilo as associate director of HR in 2013, moving from the Department of Education. He has a juris doctor degree from the William S. Richardson School of Law at UH Mānoa and is a graduate of the UH President’s Emerging Leaders Program. For more information, visit the Vice Chancellor for Administrative Affairs (VCAdmin) website. Farrah-Marie Gomes previously served as the UH System interim associate vice president for student affairs. 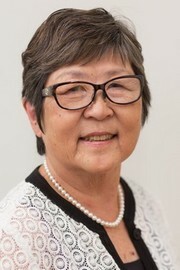 Prior to that, she served as founding director of the North Hawaiʻi Education and Research Center and also served as interim dean of the College of Continuing Education and Community Service. She is active in numerous university and community committees. For more information, visit the Vice Chancellor for Student Affairs (VCSA) website. Alyson Kakukawa-Leong was appointed Acting Director of University Relations in January 2019, and Interim Director in February of 2019. Since 1988, Aly has served as a Public Information Officer and Director of Media Relations. She is responsible for media relations, communications and public relations and is the campus-wide lead for media releases, news conferences, media inquiries and internal communications at UH Hilo. For more information, visit the University Relations (UR) website. Bruce Mathews is dean of the College of Agriculture, Forestry and Natural Resource Management (CAFNRM) starting as interim dean in 2012. He has been a professor of soil science and agronomy at UH Hilo since 1993. His top priorities as dean are in advancing articulation with the UH community colleges and revitalizing hands-on instruction. He is working closely with the USDA Pacific Basin Agricultural Research Center in Hilo to better ensure that research funds allocated to the college are used for collaborative efforts and forming stronger linkages with the local agricultural community. Michael Bitter was named interim dean of the College of Arts and Sciences (CAS) in June 2017. He is a professor of history with a research focus on Anglo-Russian relations and interactions during the 1730s. He teaches courses in world and European history, with specialty courses in Russian and German history, the history of the Eighteenth Century in Europe, and European Imperialism. Tam Vu was named interim dean of the College of Business and Economics in June 2017. 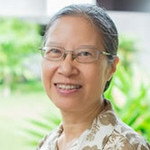 She is a professor of economics and has served as a department chair, chair of the Program Review Subcommittee for the Graduate Council, chair of the Instructional Technology Subcommittee for the UH Hilo Long Range Budget Committee, chair of the Faculty Congress Budget Committee, and interim director of the Master in China-US Relations Program. Jim Beets is the interim dean of the new College of Natural and Health Sciences (CNHS), established July 2018. Previously, he served as chair of the Division of Natural Sciences. He is a professor of marine science and has headed several collaborative research projects totaling more than $4.4 million spanning multiple agencies including the National Oceanic and Atmospheric Administration and the U.S. Geological Survey. He has a strong commitment to student mentorship and faculty engagement and governance. 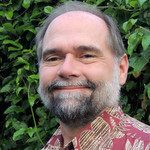 Keiki Kawai‘ae‘a is director of Ka Haka ʻUla O Keʻelikōlani College of Hawaiian Language, since 2013. 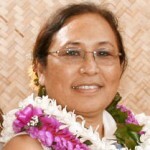 She is an associate professor in Hawaiian and Hawaiian studies and has been at the college for 20 years. She is founding director of the Kahuawaiola Indigenous Teacher Education Program and is a past director of the Hale Kuamo‘o Hawaiian Language and Culture Center. In 2013, she oversaw the completion of Haleʻōlelo, a two-story 36,759 square foot building and new home for the college. Her priorities are in improving programs and outreach in Hawaiian language and culture, linguistics, immersion and mauli ola education P-20. 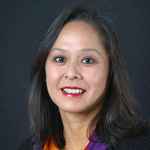 Carolyn Ma is the dean of the Daniel K. Inouye College of Pharmacy (DKICP). She joined the college in 2007 as the clinical education coordinator, and in 2009 became chair for pharmacy practice. She has been in charge of operations, faculty and residents for the college on O‘ahu, Maui and Kaua‘i. She previously served as a pharmacy management consultant for various hospitals, including Stanford Hospitals and Clinics. Visit the UHHSA website for student senate memberships.